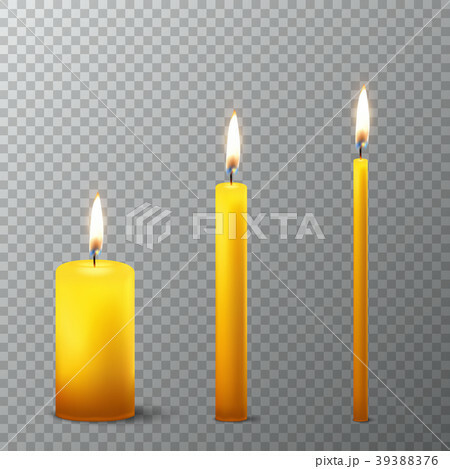 Vector 3d realistic different orange paraffin or wax burning party candle icon set closeup isolated on transparency grid background. Thick, medium and thin size. Design template, clipart for graphics.